Purifying clay face mask with lotus flower extract. This face mask is perfect for achieving a smooth and radiant complexion in time for the arrival of warmer weather. After use, the complexion appears more matte and even-toned. About the collection: Get ready for the freshest season of the year with a collection as fascinating and magical as a water lily, with a sophisticated melange of pastel shades, bright finishes and pop colors. About the Brand: Founded in 1997, KIKO MILANO is an Italian professional cosmetics brand that has revolutionized the rules of beauty with over 1.200 professional makeup and skincare products and advanced accessories. The makeup and skincare formulas are produced in Europe and in the USA. The brand is is pursuing one goal : Every woman should be able to benefit from the latest innovations of the cosmetic industry at a reasonable price. With Kiko Milano the luxury of professional make-up become available for everybody. Explore the entire range of Masks & Peels available on Nykaa. 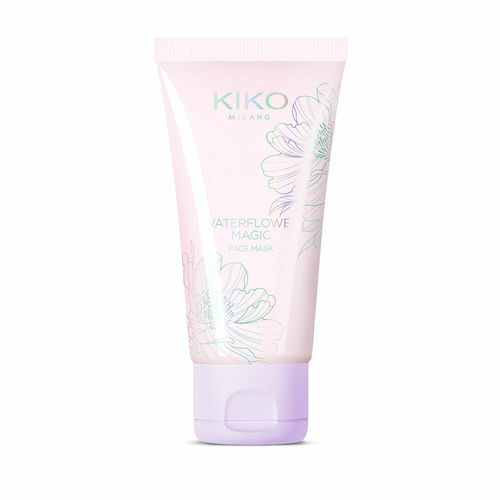 Shop more Kiko Milano products here.You can browse through the complete world of Kiko Milano Masks & Peels .